If you remove a fish from a dirty fish tank, scrub and bathe it, then put it back into the unchanged filthy environment from whence it came, will the tank become cleaner? Maybe. 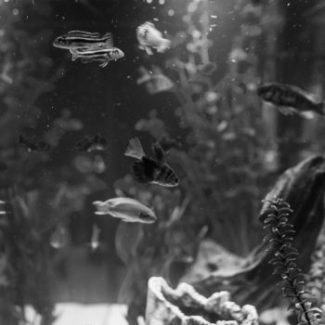 A tiny bit…but not enough to claim that any serious fish tank cleaning is occurring. Think of it: An expert would have to spend their entire life at the side of the fish tank, frantically pulling fish out, cleansing them, then repeating the exercise. The chances for success are insanely miniscule. It’s curious then to see the wide-spread tactic used by well-intentioned organizations as they feverishly work to develop their leaders. The thinking goes that if you develop the leader, you develop the team. So, leaders are removed from the people and systems (their culture), cleaned (trained), then put back into the same, unaltered system. Despite the billions of dollars spent on leadership development (in the U.S. alone), many organizations continue to suffer from chronic rates of disconnected, over-stressed and dysfunctional teams. The dirty fish tank training model doesn’t work. There’s no doubt that teams do benefit from their leaders being sent away to trainings. They just don’t benefit enough. It’s not even close. An organization’s success in effectively developing leaders requires effectively developing the system (starting with culture) around the leaders. Receive weekly tips on how to more effectively develop leaders, build teams and activate the best in your people.